TOUGHPHALT SUPER is polymer modified asphalt type H that is used for porous asphalt paving. 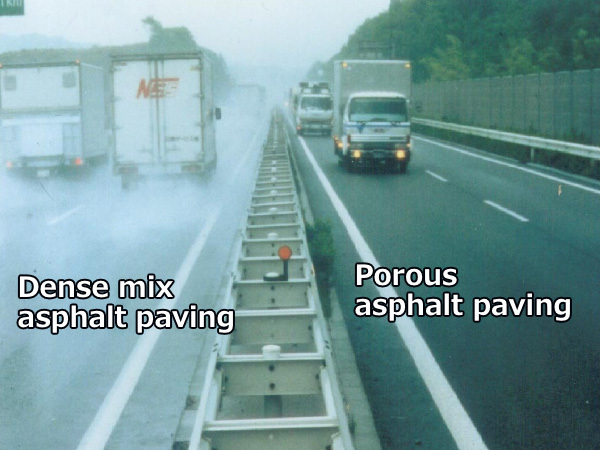 Porous asphalt paving (high function paving) has a high porosity. Due to its function of allowing rainwater to permeate below the road surface and the function of reducing noise, safety will be improved and this will contribute to improving the environment along the roadside. 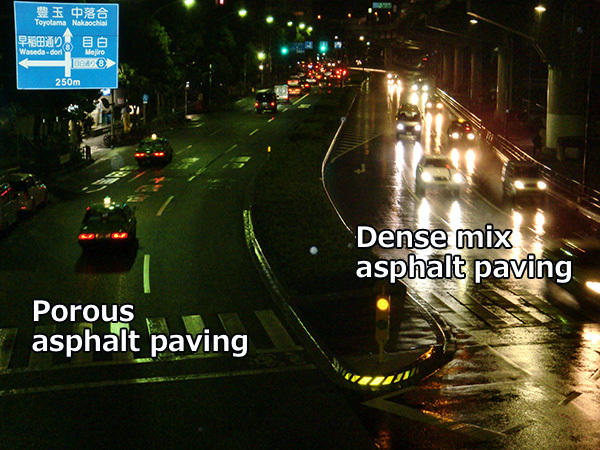 TOUGHPHALT SUPER has the following features. Has an outstanding adhesive ability with the aggregate. Has an excellent gripping strength and bonding capability that firmly fixes the aggregate. Has a high softening point of 80℃ or greater, so that it has an outstanding plastic deformation resistance.